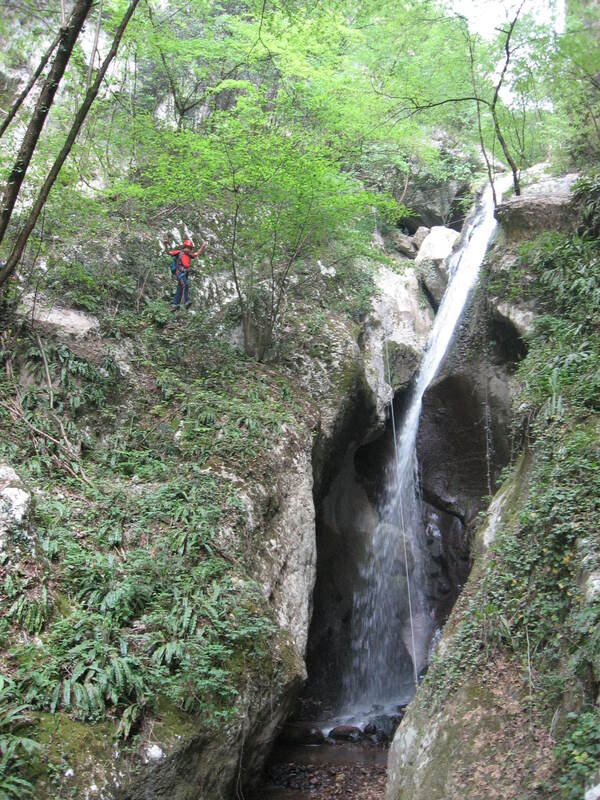 The via ferrata Torrente Sallagoni, only 5 minutes away from The Truffula Tree, is the perfect escape place to recharge when you are time tight. We had family visiting from New Zealand, Lucy and Phil, and here their experience on the via ferrata! The quality of the video is not the best, still it should give you a good idea of what to expect. 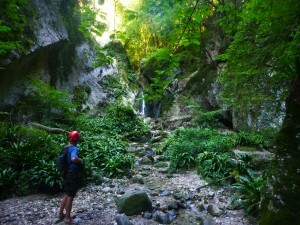 It runs inside the Rio Sallagoni Canyon, divided in 2 sections, the first one more traditional on the rock, then you arrive in a opening carpeted with big ferns, where you continue walking, passing 1 suspended bridge and crossing the Rio twice, and then again on the rock for a small more vertical stretch on the rock. It is quite easy, not too exposed, but requires some strength to climb upward, as a couple of places, especially in the first part, are a bit slippery. Because of the distance between the rope and some steps, there is a height limit for kids to do it, generally it is recommended not earlier than 9 years old. The Ferrata is approachable all year long. Shaded in summer, it is still quite warm in winter, thanks to the climatic influence of Lake Garda. You will notice the olive tress at the start of the ferrata!